Much debate and dispute surrounds the exploration and exploitation of deep ocean polymetallic nodules. In the first of two lectures, Professor Kenneth Simmonds untangles the complicated political and legal issues of seabed mining. The second lecture in this series can be found here. Kenneth R. Simmonds was the Gresham Professor of Law between 1988 and 1992. 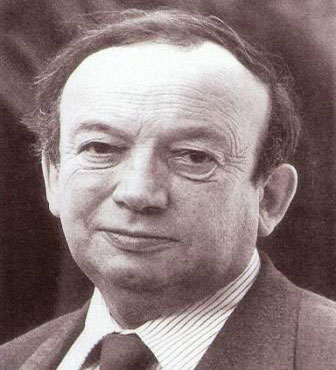 Kenneth Simmonds was one of the leading British international lawyers of his generation. Although his most enduring contribution to international law was as an inspiring teacher, perhaps the highlight of his career was as one of a group of distinguished international lawyers who provided the legal recommendations which finally allowed for the settlement of the long-standing Beagle Channel dispute, between Argentina and Chile, in 1984. Early on in life Simmonds showed his academic ability by winning a scholarship to Oxford while attending Watford Grammar School. This was during the Second World War, when senior boys were expected to take their turn at fire watching along with the masters. While engaged in these duties he was slightly wounded and in consequence received a decoration at the tender age of 16. This was later questioned by a high-ranking air force officer on an occasion when Simmonds was required to turn out in dress uniform: how could he be doing national service if he had seen action during the war? After completing his national service in the RAF, where he gained a commission, Simmonds took up his scholarship to Oxford at Exeter College. He had originally intended to read history but became fascinated by law and specifically international law. He stayed on as a senior Amelia Jackson Scholar to do a DPhil on Alberico Gentili, the 16th-century Italian jurist and one of the founding fathers of international law. Simmonds disliked jargon and obfuscation. His approach was always scholarly and with a sense of history, while he was at the same time aware of the changing nature of the world and international legal regimes. He was an early follower of the development of European Law through the European Community, editing the Encyclopedia of European Community Law from 1972 to 1993. His grasp of classical international law allowed him to appreciate the developing regime of European law ahead of many in his profession in Britain. In the Beagle Channel Arbitration, which was finally settled in 1984, three islands at the east end of the Beagle Channel in South America were disputed by Argentina and Chile, including the krill and oil in the sea within their 200-mile territorial waters. An original settlement was rejected by Argentina in 1978 but subsequently, in agreement with Chile, it was decided to put the matter for resolution by the Pope. Simmonds took part in the devising of a finely balanced formula for resolving a matter in which the two governments had put themselves into highly nationalistic postures. When presenting the proposals of the group of lawyers before the Cardinal Secretary of State, Simmonds was intrigued to notice that the Vatican officials&apos; concern appeared to centre not "on getting the law right" to use an old Anglo- Saxon lawyers&apos; dictum, but rather to ensure that the political and diplomatic implications would enhance Pope John Paul II&apos;s prestige. Simmonds was keenly interested in the law of the sea and an acknowledged expert in this developing area of international law. Among his principal publications were New Directions in Law of the Sea (1972-81) and Cases on the Law of the Sea (1976-84). Before he died, he was advising the Turkish government in its dispute with Greece over the latter&apos;s desire to extend its jurisdictional waters surrounding the Dodecanese Islands just off the Turkish coast from 6 miles to 12 miles. Latterly he had become very interested in international trade law and published GATT Law and Practice (1987-94). Simmonds held the chair as Professor of International Law at Queen Mary and Westfield College, London, from 1976 until 1992. For 20 years he was editor of the International and Comparative Law Quarterly. From 1965 to 1976 he was Director of the British Institute of International and Comparative Law: in that period he guided the institute from a single room in Middle Temple, to a building in Furnival Street, in east London, and finally on to its present location in Russell Square. He was an expert in European law and had a keen interest in European culture, but that in no way barred him from enjoying many aspects of life in the United States. While teaching at various American universities, including Texas and Kentucky, he became an ardent fan of American football and later usually planned trips to coincide with particularly important games. But no less popular with him were holidays spent in rather desolate parts enjoying the countryside. The diversity of Kenneth Simmonds&apos;s interests and enthusiasms reflected the breadth of his mind, and was already evident at Oxford University. He played for the Drama Society there at a time when the undergraduate Tony Richardson was only one of several future stars. Simmonds was always a thoughtful and philosophical person, but one who also enjoyed the simple pleasures of life wherever he might find them. He was perhaps happiest at home with a glass of beer, listening to classical music with his family and pet cats. Kenneth Royston Simmonds, legal scholar: born Watford 11 November 1927; Amelia Jackson Senior Fellow, Exeter College, Oxford 1951-53; Lecturer, University College of Wales 1953-58; Lecturer, Liverpool University 1958- 61; Senior Lecturer, Queen&apos;s University Belfast 1961-63; Assistant Director, British Institute of International and Comparative Law 1963-65, Director 1965-76; General Editor, International and Comparative Law Quarterly 1966-86; Editor, Common Market Law Review 1967-91; Professor of Law, University of Kent 1970-72; General Editor, Encyclopedia of European Community Law 1972-93; Professor of International Law, London University 1976-92 (Emeritus); Dean, Faculty of Law, Queen Mary College, London 1980-84; Gresham Professor of Law, City of London 1986-92; married 1958 Gloria Tatchell (one son, one daughter); died London 29 April 1995.